Baby's Got a Brand New Big Bag by Maia. 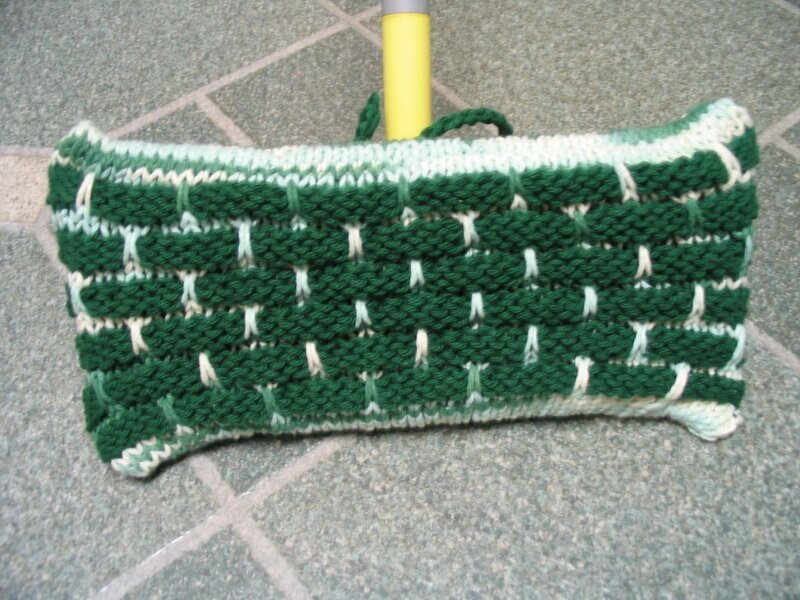 Janice inspired me to knit this bag. Janice is quite the bag lady. I just love all of her creations. 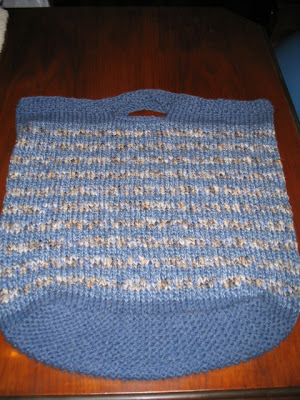 As far as my modifictions for this wonderful bag go...I knit the bag as the pattern states, but with no decreases. I just knit it straight up from the bottom and I did my own striping effect. 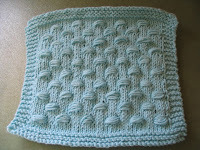 I used a mixture of Moda Dea Cartwheel - hazey and Paton's Classic Merino - new denim and denim marl. I am happy with the results. 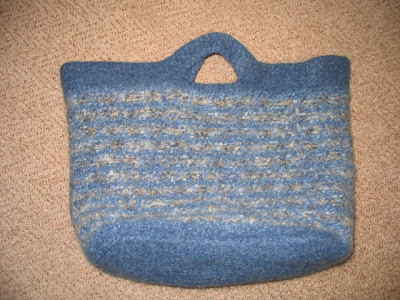 Both yarns felted very well together, but I did expect the bag to be a bit bigger. Next time I'll have to make one even bigger!! after felting they look like a perfect fit! 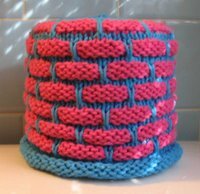 I'm going to knit a pair for my husband sometime. He wears a men's size 13 so I can't even imagine how big they will be before felting! Wow, your felting turned out great. That bag turned out great - the clogs too! I have a fiber trends slipper pattern - I think my family all want slippers for Christmas so I'm sure I'll be using it a bunch. Those clogs are FANTASTIC! I'm going to go to my LYS asap and get that pattern! I just love the bag, too! I made one quite like it last summer! the bag is pretty, too! 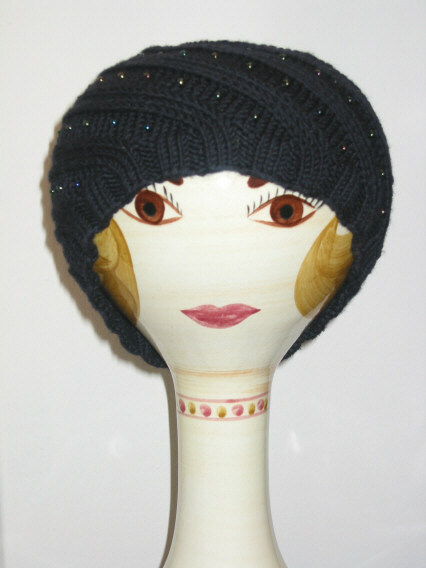 Your felted knits are perfect! I love that bag, and those clogs are beautiful! Please continue to post about your fab felts. Especially the clogs. I am making them too, in size men's 13! the clogs & the bag look SUPERDUPER. felting is spectacular.. and those 13's.. start now.. for next winter :)but make no promises they'll be done by then ! OK.. that's it. I'm buying the FT pattern... 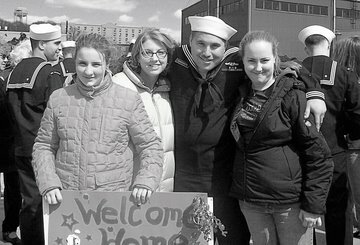 I love how yours turned out! And the bag is gorgeous too. Both projects turned out perfectly! 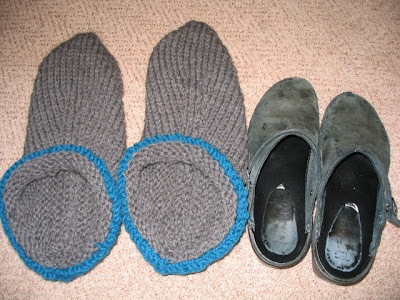 I want to make some felted clogs now, too! They look just right for shuffling around the house, as I tend to do. The bag is so cute! 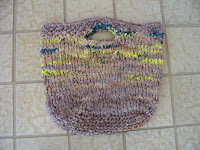 I've only made one felted bag but everytime I see one on a blog I want to make another one! Very cute clogs too - those are on my to do list. Your bag looks awesome!! I love the colors you chose. I've been wanting to knit those clogs for a long time!! Did you find them complicated at all?? Felting has to be one of my favorites!! 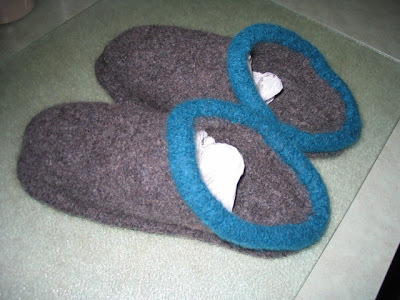 Love the felted slippers - wouldn't mind having a go at those myself. Were they hard to make? I love what you did with my bag pattern. The colors are wonderful and it turned out great. 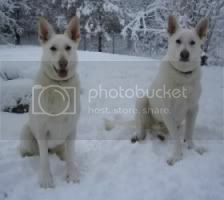 Would you mind if I added it to my gallery? Yes, I did make another ballband! Look, see what I finished this week!